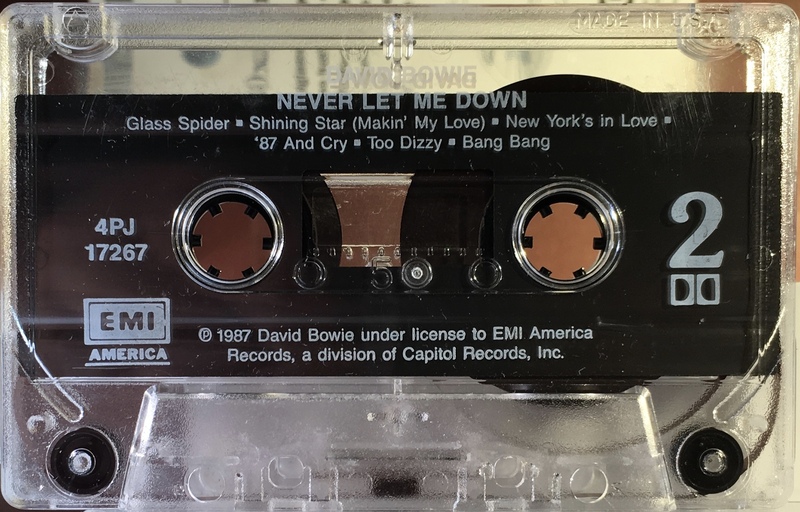 Never Let Me Down: USA; EMI America, 4PJ-17138; 1984. 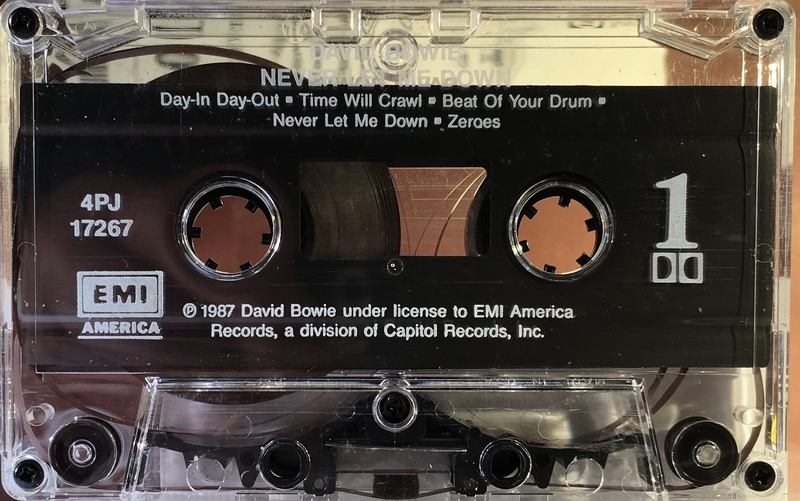 XDR was a process developed by Capitol Records to provide higher quality audio and is the American branding of their original Canadian SDR (Super Dynamic Range) released a year earlier. SDR Let’s Dance tape is available under the Canadian Let’s Dance page. 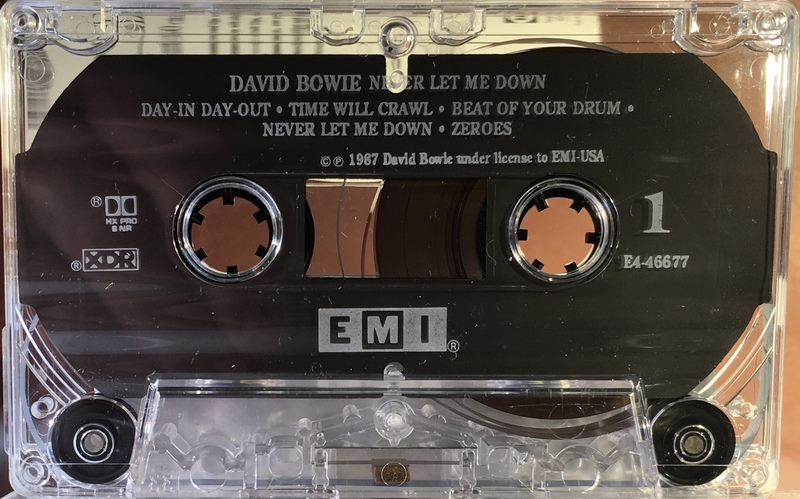 White cover with full album photo; white spine and rear panels, except lyric panels which are black with white cut and paste style lyrics. Inner panels fold out to reveal album art, personnel and production etc. 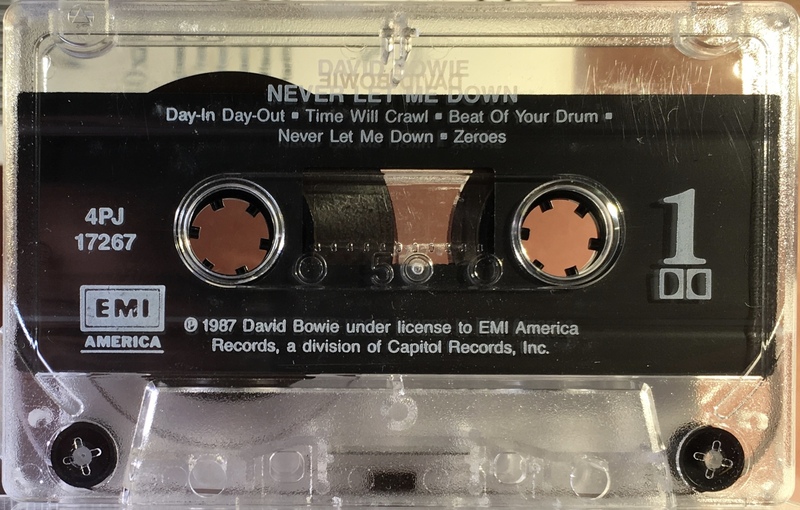 The rear of the cover has the lyrics printed on it on thick, treated paper. Track list on rear panel. Dolby HX Pro logo on spine. Manufactured by Capitol Records Inc on rear panel. Black ink printed directly to transparent shell with shaped slip sheet. The shell has the track list printed on it alongside the XDR and Dolby HX Pro logos. 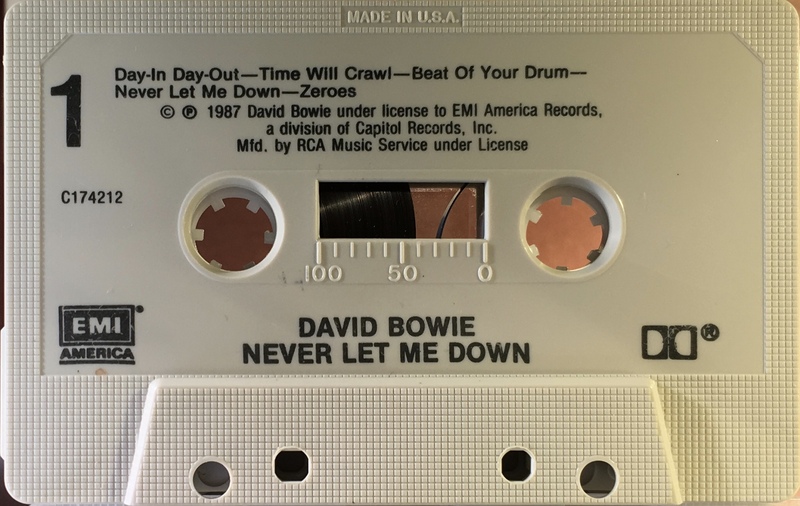 Never Let Me Down: USA; EMI America, C174212; 1987. RCA Music Service edition. This was a music club edition. Cover is made from glossy, perforated paper. Full panel front cover photo with with RCA Music Service information on lower cover. Black spine and rear panels with white inner panel. The rear of the cover is blank. Track list is on the rear panel. Black ink printed directly to grey shell. 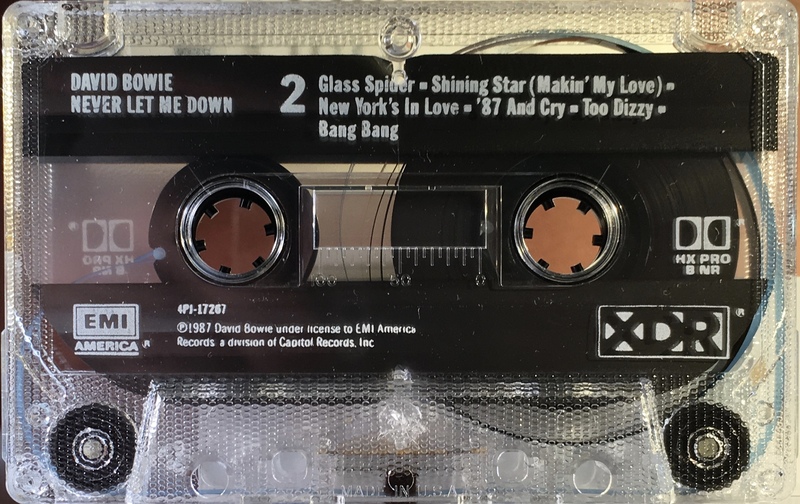 The shell is stamped ‘Made in USA’ with track list printed on it and ‘Mf’d by RCA Music Service inner licence’. 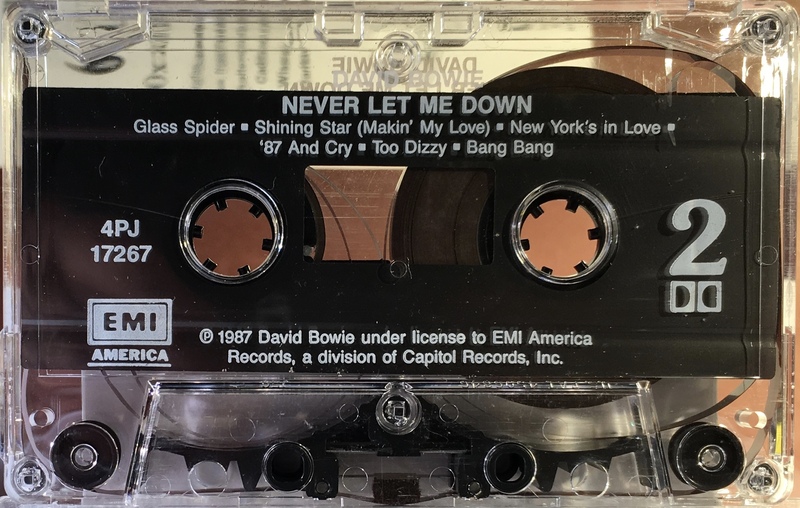 Never Let Me Down: USA; EMI USA, E4-46677; 1990. 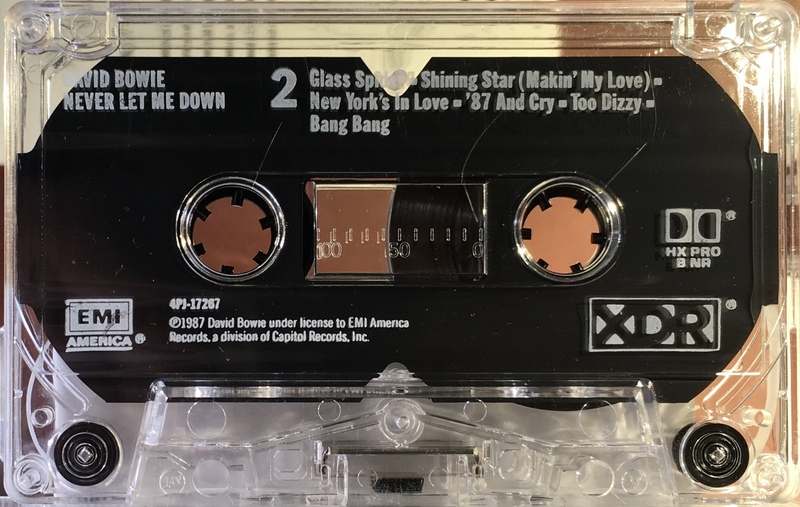 White cover with full album photo; white spine and rear panels, except lyric panels which are black with white cut and paste style lyrics. Inner panels fold out to reveal album art, personnel and production etc. 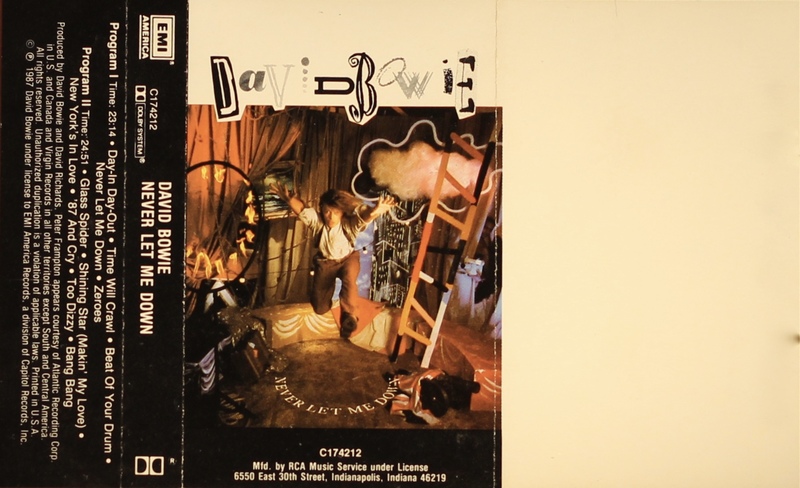 The rear of the cover has the lyrics printed on it on thick, treated paper. Track list on rear panel. Dolby HX Pro logo on rear panel. Manufactured by Capitol Records Inc on rear panel. White ink printed directly to clear shell including XDR and Dolby HX Pro logos, with shaped slip sheet. Tonight: USA; EMI America, 4PJ-517138; 1984. 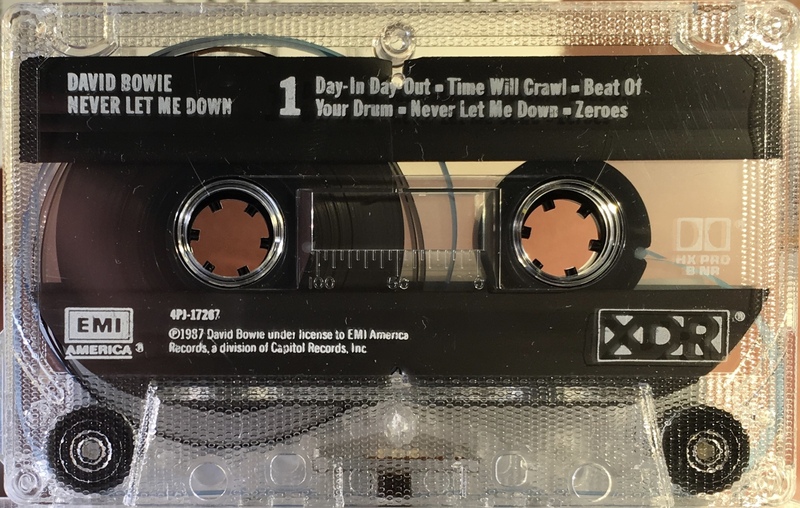 Columbia House edition. This was a music club edition. 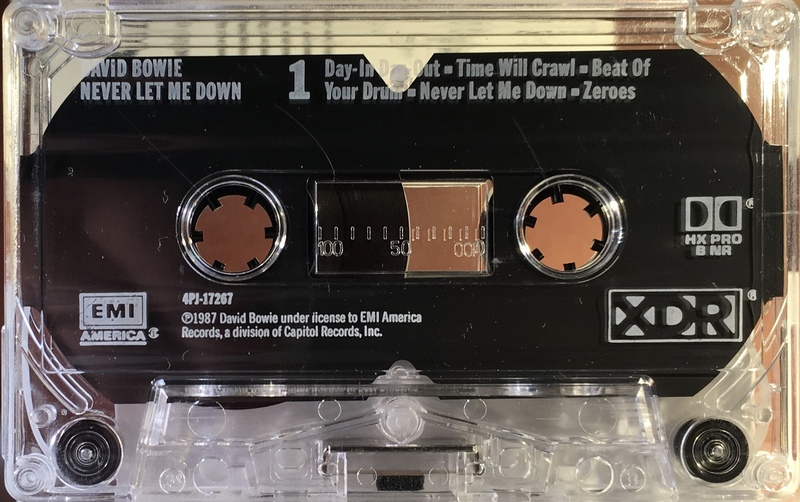 White cover with full album photo; white spine and rear panels, except lyric panels which are black with white cut and paste style lyrics. Inner panels fold out to reveal album art, personnel and production etc. The rear of the cover has the lyrics printed on it on thick, treated paper. Track list on rear panel. Dolby HX Pro logo on spine. Manufactured by Capitol Records Inc on rear panel. ‘Manufactured by Columbia House’ on rear of cover panel. No barcode. 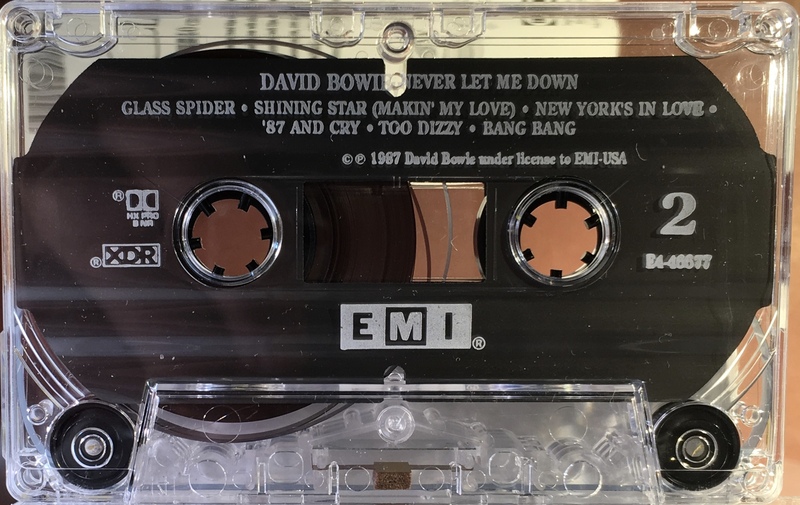 The number ‘5’ has been added to the catalogue number to mark it as different from the Capitol- EMI release however on many of these tapes the catalogue number that appears on the cassette do not have that prefix. White ink printed directly to clear shell with shaped slip sheet. Catalogue number 4PJ 17267 and Dolby sign on shell. 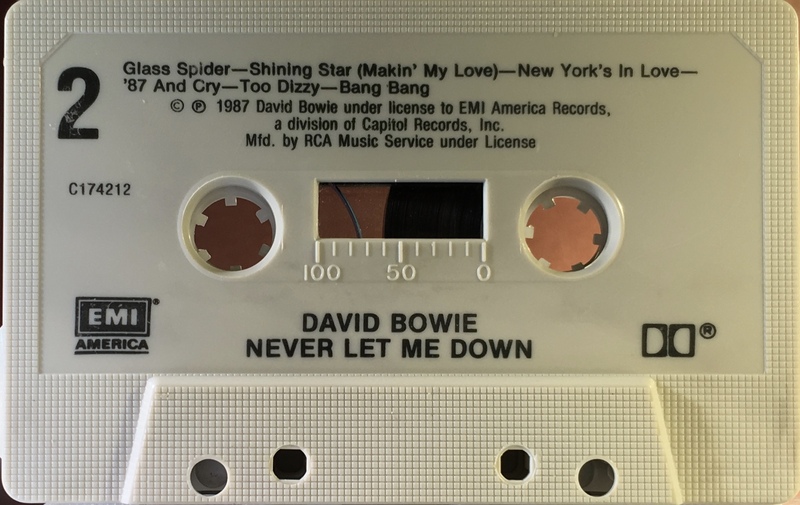 Information on shell states ‘under licence to EMI America Records a division of Capitol Records, Inc’.